Note: Data for October 31, 2018, are an interpolated value based on the Weekly Natural Gas Storage Report. 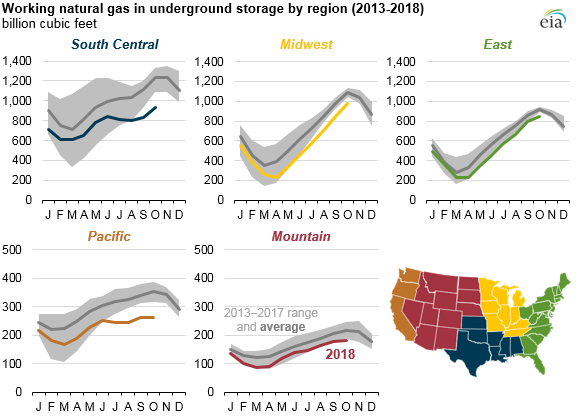 Working natural gas in underground storage in the Lower 48 states as of October 31, 2018, totaled 3,208 billion cubic feet (Bcf), according to interpolated data from EIA's Weekly Natural Gas Storage Report released on November 8. 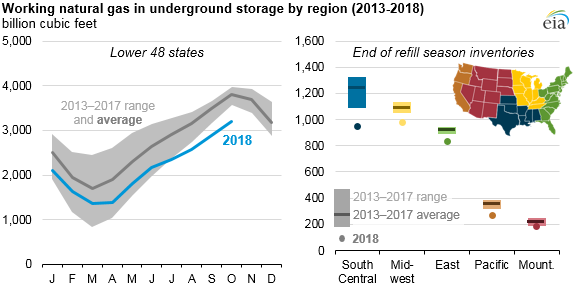 Inventory levels for the Lower 48 states and in each of the U.S. natural gas regions ended the refill season at their lowest levels since October 2005, and these levels were considerably lower than their previous five-year averages. 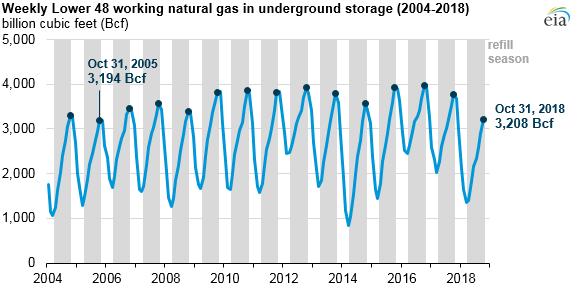 Although the natural gas storage injection, or refill, season is traditionally defined as April 1 through October 31, additional injections may occur into November.